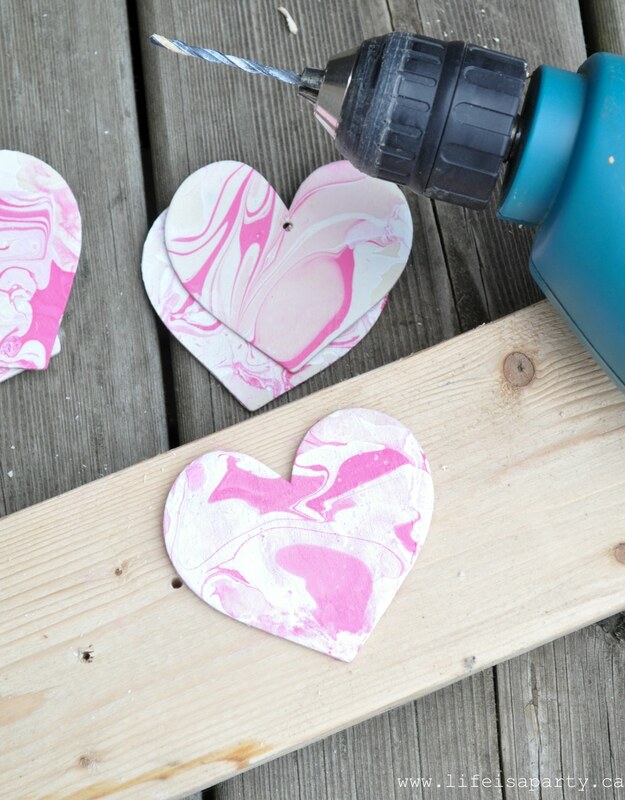 These water marbled wooden hearts are the perfect touch for Valentine’s Day. They’re so fun to make, that once you start you’re going to want to marble everything -at least I did! 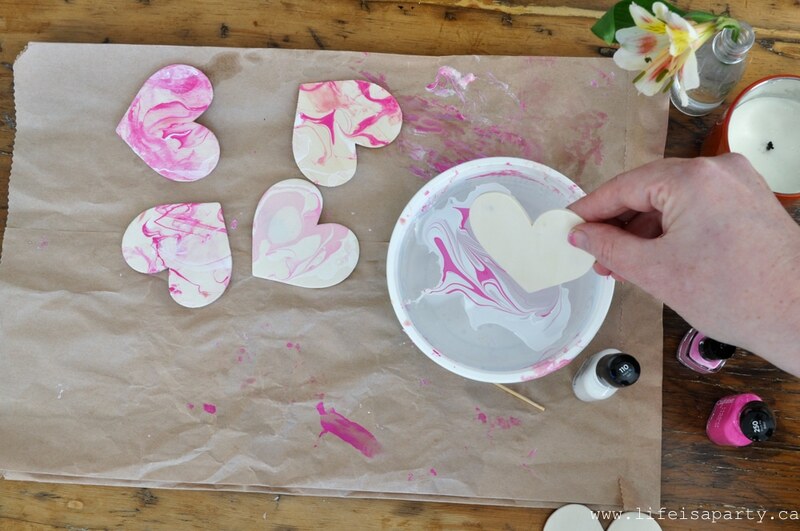 I was inspired by the water marbled pumpkins I saw this fall and wanted to do a version with pink and white for Valentine’s Day. 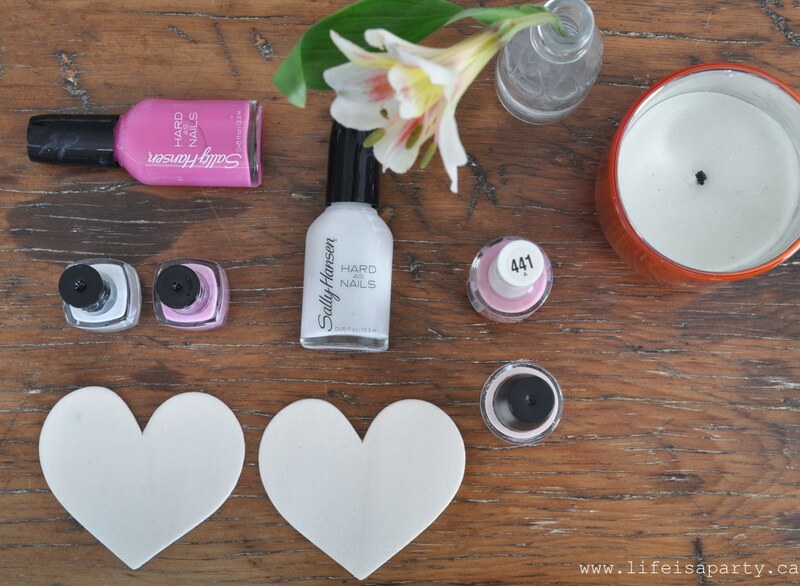 At first I thought that styrofoam 3D craft hearts would be perfect, but after a little research I discovered that styrofoam and nail polish don’t mix. 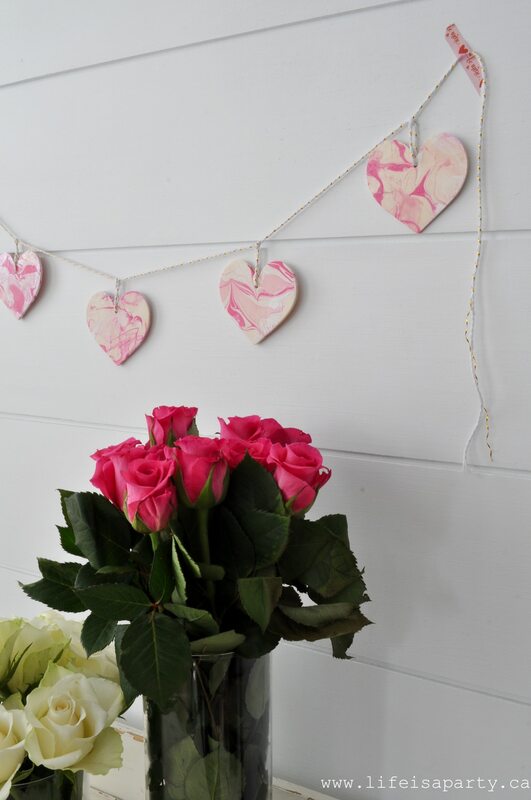 So I found some simple wooden hearts at the craft store and they were perfect! 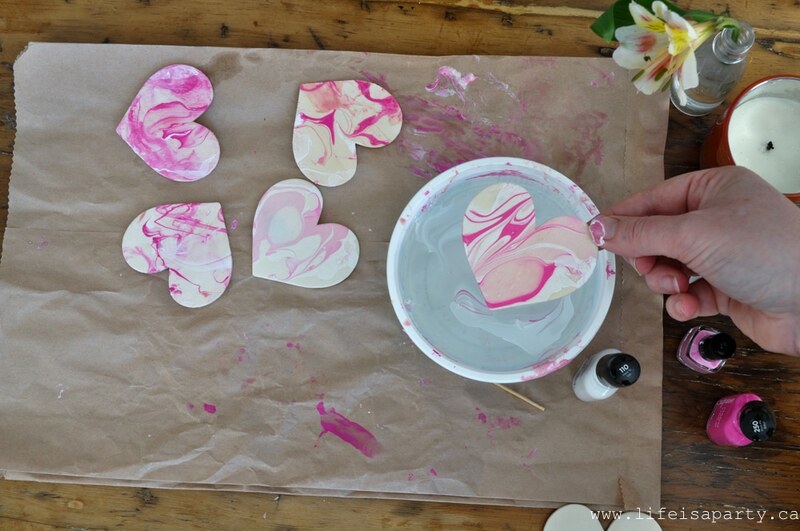 For this water marble technique, you float some nail polish on the surface of some water and dip the object in to paint it. It really is addictive! Start by finding a disposable container large enough to freely dip the hearts. Fill it with luke warm water. Drop spots of nail polish onto the surface of the water. 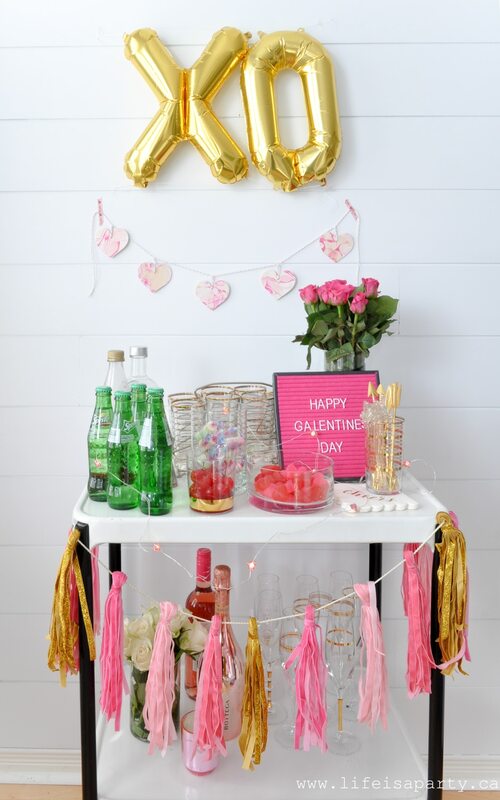 We used white, light pink, and a little hot pink. Take care to use a nail polish that IS NOT quick dry, since it will dry too quickly and not work well. There was a little trial and error for us. Our first attempt didn’t work very well. I think we took too long working with our nail polish at first and it began to dry and got all clumped up. Be sure to work as quickly as you can for the best results. 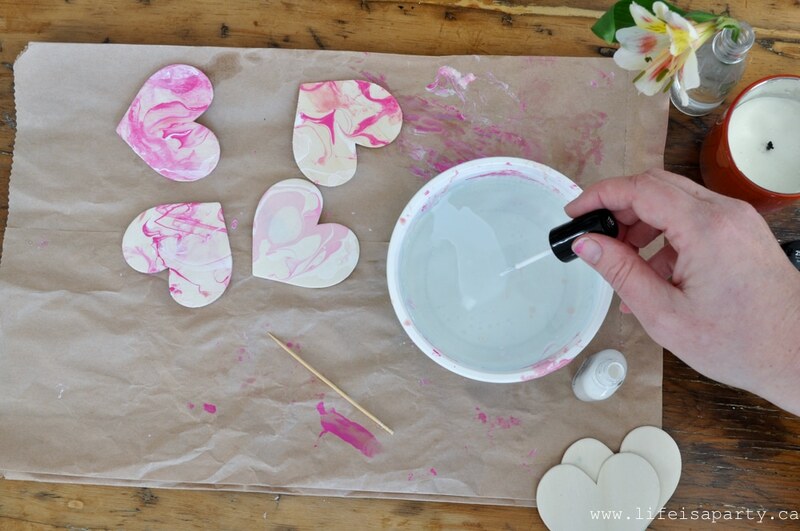 Once you have your nail polish on the surface of the water, use a tooth pick to swirl it around and create your marble pattern. Dip your hearts carefully into the paint and through it. 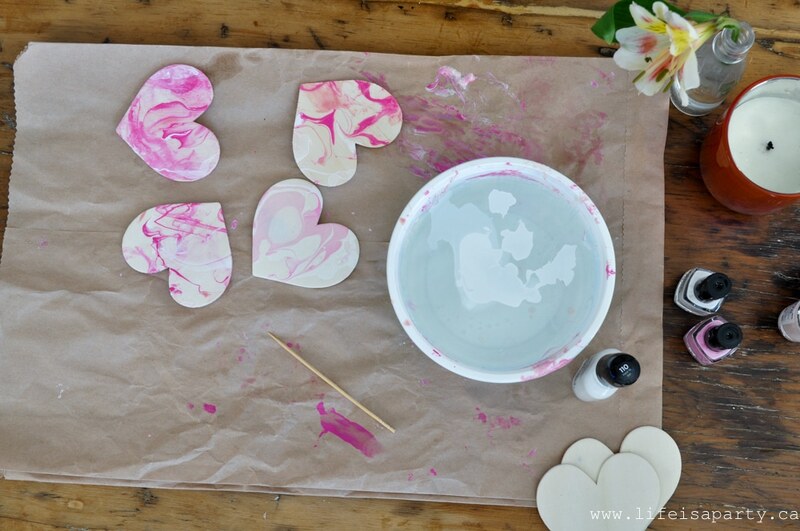 The nail polish that was floating on the surface of the water will transfer to the wooden heart. Let the nail polish fully dry. 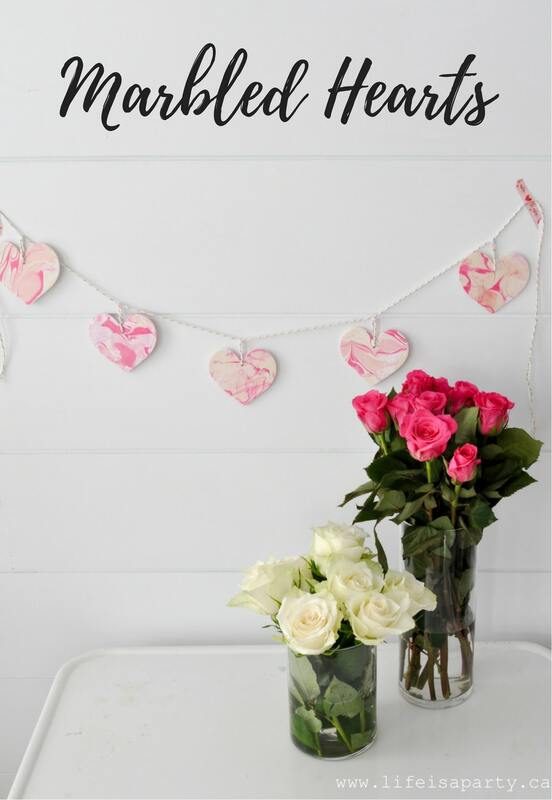 Drill a small hole in the top of each heart, and then string the hearts onto twine and tie each one to create a garland. I really loved doing this craft -see me in action and catch my enthusiasm over on my Instagram stories in the highlights. 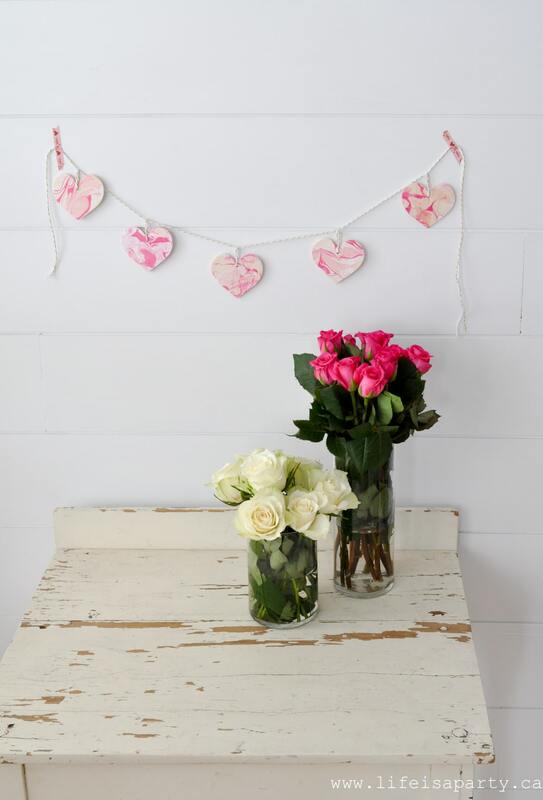 These little hearts are the perfect addition to your Valentine’s Day decor. You could make them in any colours to match your decor. Next I might try some black and white ones. 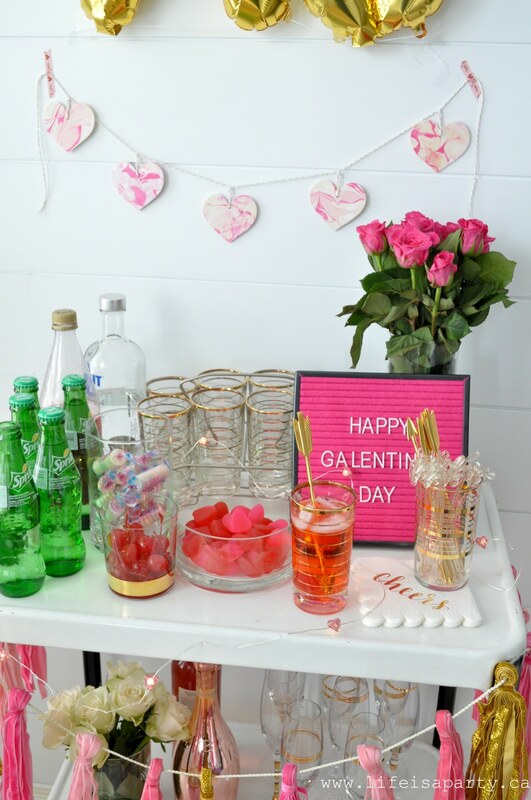 I used my marbled heart garland on my Galentine’s Day Bar Cart -read more about it here. 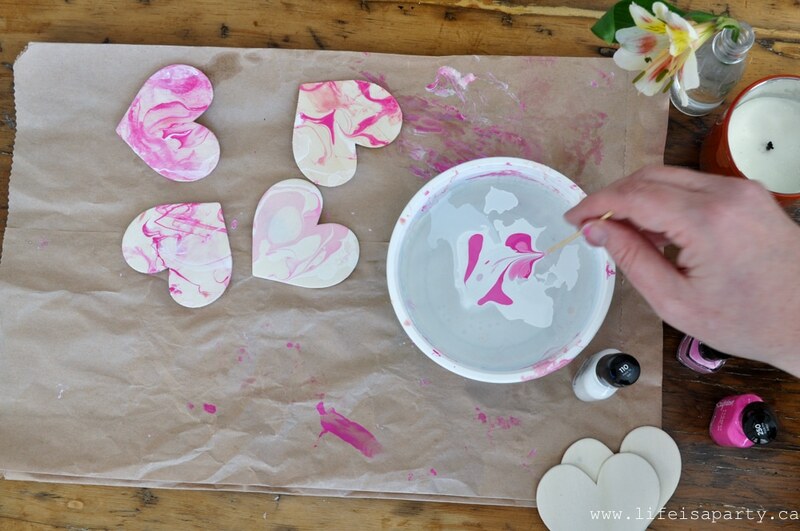 With Marbled Hearts for Valentine’s Day, life really is a party!